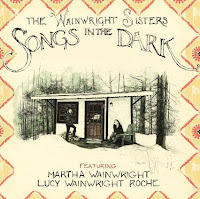 Martha Wainwright and Lucy Wainwright Roche have teamed up for their debut album together under the moniker The Wainwright Sisters (duh). The album, Songs In the Dark, comes out on November 13th. As a quick glance through the song titles will lead you to suspect, the record is heavy on the dream/nighttime imagery, with a sound to match. The harmonies on the album are impeccable. 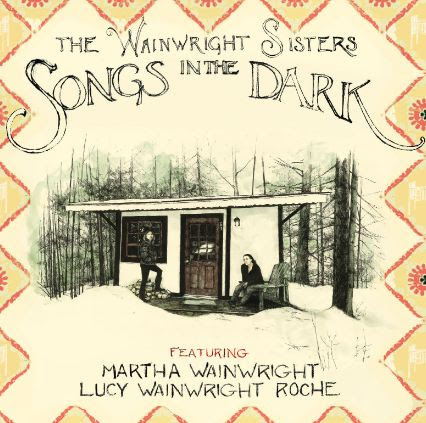 The range from sweet ("Prairie Lullaby") to haunting ("Runs In the Family") and everything in between. The foundation for the dreamy haze is, unsurprisingly, folk music. The twang is present on many tracks, in particular "Hobo's Lullaby" and the dusty "El Condor Pasa". The most unique sound comes on the sparse, near-hymnal "Long Lankin". Now this wouldn't be a Wainwright family record without getting at least a little bit weird. It sure does that with the oddball story song "Lullaby for a Doll". The downfall of Songs In the Dark is the fact that, while lovely, not a single one of these songs is very memorable. There isn't a line or a hook or an arrangement that will linger with you once the instance has passed. Best tracks: "Baby Rocking Medley", "Long Lankin"